Independent musician. Solo artist and multi-instrumentalist, known previously for Torture Garden, Serotonal and Black Magician. By The Deathbed cover art. Photography by Kirsten Whittle. Well it's been a long time coming, but my debut solo album is finally here. It's called 'By The Deathbed' and it's released on August the 19th. It means so much to finally get this out there. I have invested so much of my time, and of my self, into it. It comes from somewhere inside me. It is a piece of me. I had to make a solo album at this point in my life, and there will be more to follow. Life in bands had provided a lot of disappointment. I had felt stifled at times, and frustrated at others. In general I reached the point where I felt I could only express myself clearly through music, and in bands of five, my voice was only partially heard; I was not able to express myself fully. It was vital to me that I did this. So, what about the album itself? Let's start with the title. 'By The Deathbed' is a lesser known painting by the great Edvard Munch. After my 2014 demo, I had already determined that the album would centre around the theme of death - and, therefore, life - and was searching for inspiration from artworks on the same theme. I came across Munch's painting, which I couldn't remember seeing before, and was immediately struck by it. There were two things in particular; there was the distinctive candlelit shade of red on the wall, and then there was the central figure. That's right, it's not about the person on the bed, and it's not about the main group of mourners stood beside the bed, facing the deceased with their heads bowed in prayer. It's about the woman at the far end of the bed, facing you, the viewer. Staring directly at you. What are your immediate thoughts when you see her staring back at you? I knew I had my title, a solid theme, and a visual artefact to refer to whenever I needed to reach that source of inspiration for the album; to finish a lyric, to create a mood, or to immerse myself in that mood during a performance. I ordered a print of the painting and hung it up in my studio for the duration of the recording. I painted the walls that same red colour, and I often lit the room with a candle. I can assure there are many points on the album where I was staring at the painting, and directly into her eyes as I recorded. 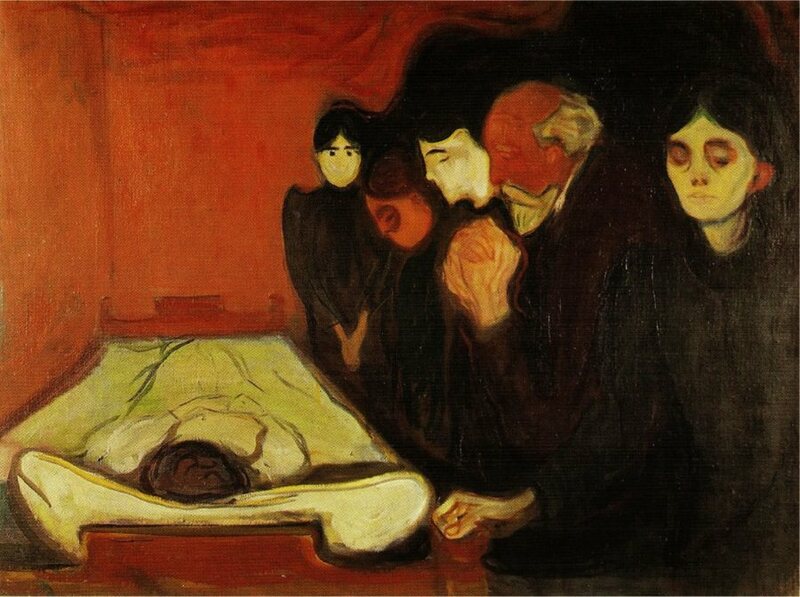 By The Death Bed, 1896 by Edvard Munch. Munch was obsessed by death, and so is this album. Almost every song makes at least a reference to, or an implication of, death. Some songs are explicitly about death, but as I said earlier, this means they are also about life. The album concerns the constant battle of life to fix broken things, to straighten paths, to avoid dangerous paths, and at times, to turn around and go back the way we came. All this is done with an awareness that one day, no matter which way we turn, we will eventually stumble and fall to our deaths. We all know this, yet we choose not to think about it. Death is our ultimate fear. But why do we fear it so much? There are a few reasons. Perhaps we fear a painful death, or that our death will hurt those who love us. Perhaps we fear what comes after, or what doesn't. However, perhaps the main reason, for many people, is as much to do with their life as their death. It's that knowledge that it could actually happen at any time. We may not have x-amount of years left, and it could, somehow, happen in an instant. What would that mean? What is an 'untimely' death? What does it mean to go 'before our time'? I don't believe these expressions refer to how much time we have spent on this earth, but rather how we spent that time. Have we reached our full potential? Have we lived and experienced enough of life's delights? Have we done enough good? Are we loved? Are we fulfilled? Are we happy? Every song on the album deals in some way with these questions. 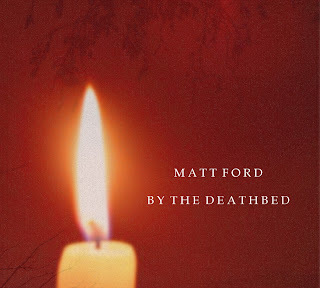 'By The Deathbed' contains 11 tracks, four of which appeared in earlier and inferior recordings on my demo. These songs are all better in their new form, though the difference is definitely more extreme on some tracks than others. The most radically different is 'Candles'. It now sounds less like Oasis and more like Joy Division. It was always going to have a Manchester vibe, but it's a way, way better vibe now. 'Regret' is fuller, with dramatic drums and a killer background drone running throughout, consisting of multiple tracks of wordless vocals, and bowed bass and guitars. 'Unravel' also now has drums, better performances all round, a heavier climax and a desolate ending. I did like the violins in the demo version, but they will have to stay there as they didn't quite fit the feeling I was after this time. 'Afloat' is the most similar to the demo, the main difference being that the background of birdsong has been replaced with a haunted recording I made of a train journey through Liverpool's underground network. And again, better performances from myself. I'm not going to mention every track, as I want you to discover a lot of this stuff for yourself, but I do want to talk about the album's D-side (the album was made and sequenced to be heard on vinyl, and even though it's not being released on vinyl just yet, I certainly hope it will be). The closing trio of tracks - 'Leaves', 'The Great Mortality' and 'Serenity' - form a suite. Although Leaves does also reference the earlier track 'Blossom' with a similar harmony and related lyrics, it serves as a good intro piece to the final two tracks. Without giving too much away, all three tracks feature similar, carefully linked elements, and should feel like one continuous performance. In fact I would love to perform it live in this way, but it wouldn't be possible with just me on stage. I had to end the album like this; I was dealing with big lyrical themes and it's an ambitious record from the beginning. To end it any other way would have been too anti-climactic. I've never made a secret of my influences. This time, they are varied as ever, but I tend to think it all hangs together cohesively, more so than on any previous album I've been involved with. This was sometimes a criticism for the early Torture Garden stuff, that there were too many different styles and sounds in the mix, or that every song sounded like a different band. It doesn't apply here. There are countless artists I could name, but they're all there for you to pick up on, or not. All I will say is that, among others, there are elements of folk, doom metal, post-punk, post-rock and - to use an extremely vague term - classical. I don't know how else to explain it, but I do like the term 'doom folk'. The artwork was fun to work on. I fully believe in the album as a physical package, and it's vital to me that it's presented to a high standard. The photography was done by the very talented Kirsten Whittle, whose distinctive work also adorns the demo, as well as the two photoshoots I've done so far as a solo artist. Her style is ideally suited to this album, but as with the musical influences and sounds, I'm not giving too much away here as to why, or what it all means. You can work some of this stuff out for yourself! But you'll notice that red is the dominant colour. That's my studio wall, the one I painted that colour after being inspired by the Munch painting. It's not quite the same red - I spent at least half an hour in the shop trying to find the right shade for a candlelit room - but it's close. Close enough to evoke the image of the painting, of the bed, of the deceased and of the mourners. Of her. The album should be ideally be played loudly and through a good set of speakers or headphones. It's up to you of course, but there are various sounds and subtleties which I don't want you to miss out on. Not only this, but in general, it's a fairly quiet record. It was mastered by Tom Woodhead at Hippocratic Mastering and, in keeping with the Hippocratic Oath, he has done no harm to the music by 'brickwalling' it. In the view of many people these days, louder equals better. Now don't get me wrong, loudness is great, but so are dynamics. Dynamics give the music shape and soul. Dynamics let music breathe, and let the emotions conveyed by the performer go across to you more successfully. When the quiet bits are as loud as the loud bits, you get none of that. So please, turn up your volume knob, so only the loud bits will be loud! Anyway, I'll say no more. I sincerely hope you enjoy the album. I'm already thinking about the next album, which will be very different. 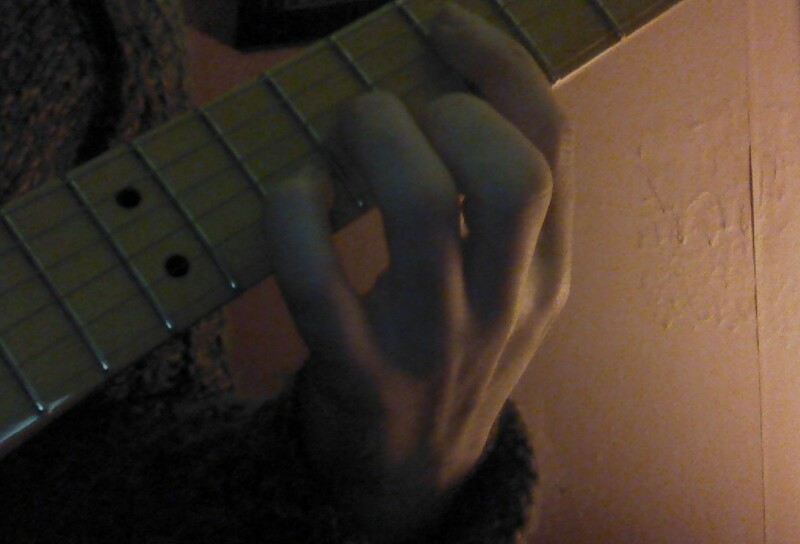 I'm also working on two new songs for a standalone single, which I plan to release late this year or early next. I'm especially pleased with the B-side, which might just be my best song yet. 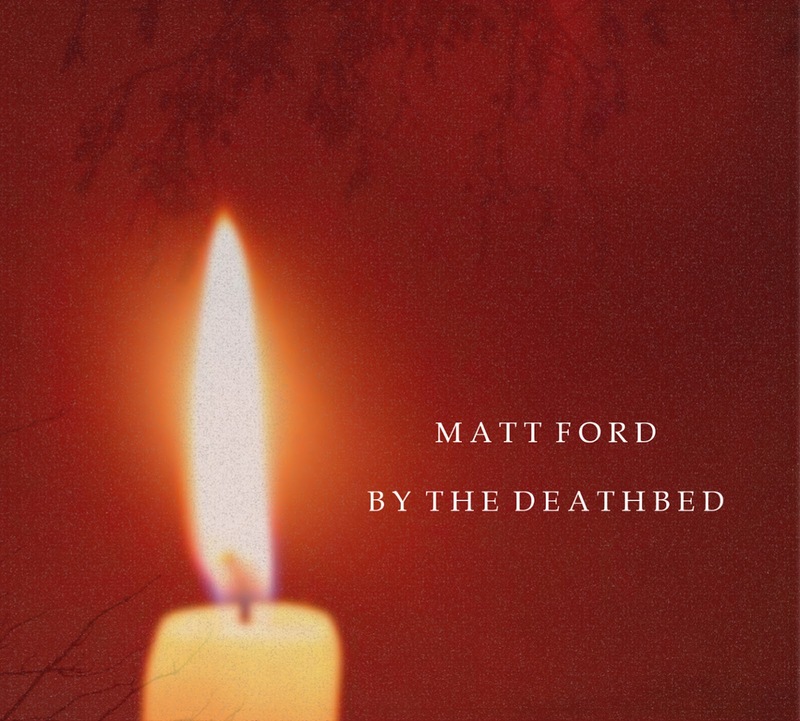 'By The Deathbed' is released on August 19th and is available to pre-order on CD and download here. 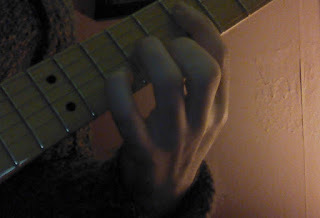 Right now, this is all you're getting: a chord from the new album. 2015 mainly saw me holed up in my studio, which I have now somewhat amusingly named 'The Mattcave'. See what I did there? Aside from a couple of live outings here and there, I've mainly been working on this new album of mine that I've been going on about for some time now. I'm very pleased to report that I am now in the final mixing stages. I've been working extremely hard on this and, for better or worse, it's occupied the majority of my brainspace for a long time, but at last, I plan to finish the mix next week. Then, it will be sent off to be mastered, and the artwork will be finished. I'm very excited about seeing and hearing the finished work, and you'll get your chance very soon too. Details - along with aural and visual samples - will be released in the coming weeks, so keep checking here and on my Facebook page for news. I also recently collaborated with longtime friend zpink, aka London Below. After working on some remixes for a couple of songs from my new album, he kindly invited me to sing on a festive song he'd written, called 'Tell Me Your Story'. It certainly sounds nothing like my own material, but we were both very pleased with the results. Christmas may have come and gone, but hopefully you will still find the message of the song as relevant as ever. Have a listen to it here! One more thing for now. If you've been following me on Facebook you may have seen that I've recorded a track for a new tribute album to the stupendous doom metal band My Dying Bride. I covered their song 'Black God', which I felt perfectly suited my concurrent solo work. Like the solo album, details of this tribute - and how and where to listen or buy a copy - will be revealed imminently. In other words, 2015 was busy for me, and there's quite a lot going on. I anticipate that 2016 will be even busier...I will have it no other way! I can't wait to get this stuff out to you.